Are your feet to blame for your hip or back pain? Podiatrist Emily Smith explains how problems with the feet can reveal themselves in unexpected places. As the childhood ditty moves along the biomechanical chain, identifying each related bone or joint, the catchy rhyme, “Your foot bone’s connected to your ankle bone” forms the basic understanding of the human body. This song highlights a concept that bone, joint and soft tissue are significantly influenced by the efficiency of the entire body. If at any point in the chain there is dysfunction, such as weak muscles, loose joints, knock knees, flat feet or high arched feet, this can cause pain or injury in an area that appears seemingly unrelated. A common example of this is flat feet causing pain in the hip or lower back. Functional assessment both above and below the site of pain becomes particularly important in the management of joint degeneration and injury. Due to the foot’s influential role in the body’s movement, propulsion, shock absorption and terrain adaption, looking south at foot function and footwear can be important for successful injury rehabilitation, joint longevity, optimal performance and pain prevention. If you are experiencing ongoing pain or recurrent injury, ask your health professional if it could be related to your foot function and have a comprehensive biomechanical assessment. Do you have pain in your work shoes, but not in your weekend sneakers? Footwear can have a significant impact on the biomechanical chain. Experiment with different styles of shoes you already own to identify your needs – i.e. support, cushioning, laces, flex points. If you can identify what makes your pain better and what makes it worse before buying new shoes, you can avoid making the same mistake twice. If your shoe soles are worn poorly this can indicate biomechanical dysfunction, and a new pair of shoes or a trip to the boot maker is on the cards. Seek advice from your podiatrist or health professional if pain persists. Your physio or podiatrist can use short term strapping techniques to improve your foot function and unload the structures further up the chain. 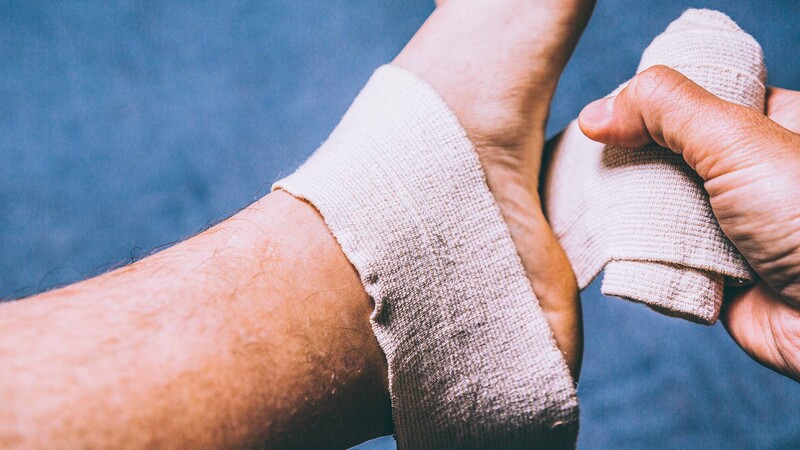 While your foot or feet are strapped it is important to perform the activities that you would otherwise avoid due to pain, such as taking the stairs or playing sport. If your pain improves while strapped, further assessment and long term foot support strategies should be explored.